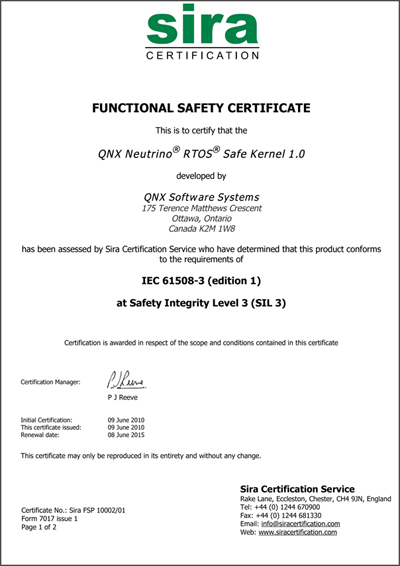 The QNX Neutrino RTOS Safe Kernel has been certified by Sira to conform to IEC 61508 at Safety Integrity Level 3 (SIL 3). As such, it provides a certified platform on which application developers can implement safety critical systems that must meet the most stringent functional safety requirements. The QNX Neutrino RTOS Safe Kernel is supported on multiple hardware platforms, including x86, Power and ARM with multi-core capabilities through SMP. 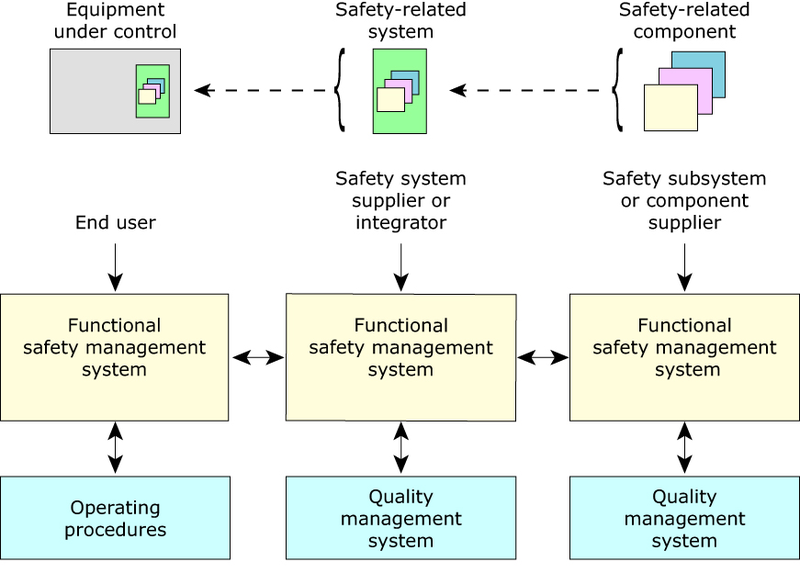 Functional safety management is the "language" that connects safety-related applications. Sira is a world leader in IEC 61508 functional safety certification services, and the United Kingdom's leading notified body for Ex product certification (ATEX and IECEx). It is accredited by the United Kingdom Accreditation Service (UKAS) to carry out its certification activities in accordance with the CASS scheme (Conformity Assessment of Safety-related Systems). For more information about Sira, please visit the Sira web site at www.siracertification.com. Target failure measures for systems acting in low demand, high demand or continuous mode. IEC 62304 (medical), and the CENELEC EN 5012x series (railway transportation).